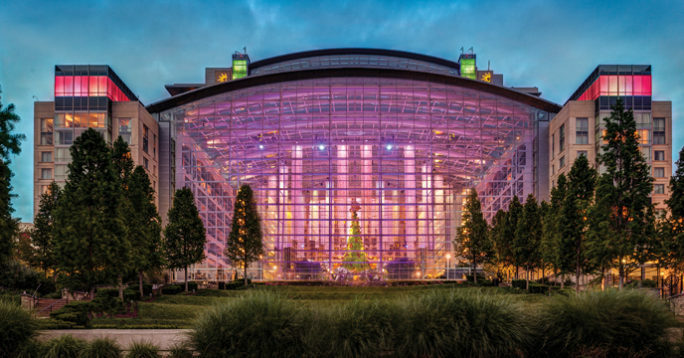 Gaylord National Resort offers guests a first-class destination with first-class dining, an award-winning spa and salon, entertainment and special events. Whether you are on a business trip, looking for a weekend getaway or just a night out. You will be sure to find the perfect experience for you and your family to make a lasting memory. Set your sights on luxurious comfort at Gaylord National Resort & Convention Center when visiting the Washington D.C. area. Our spectacular waterfront resort, with a stunning 19-story glass atrium and sweeping views of the Potomac River, is steps from National Harbor’s premier entertainment and shopping district and only 8 miles south of the nation’s capital. After exploring the city and surrounding areas, return to our first-class resort featuring Relâche Spa, indoor pool and whirlpool, state-of-the-art fitness center and four unique restaurants and shops. With more than 500,000 square feet of flexible event space, we also offer a chance to experience unforgettable business meetings, conferences or social gatherings. For late-night excitement with picturesque views of the capital, take our express elevator up to the Pose Rooftop Lounge before retreating just steps away to your luxurious accommodations. 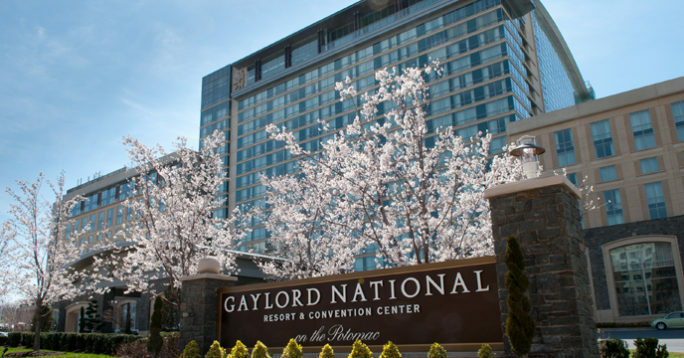 Come discover why Gaylord National offers an unmatched experience in the Capital Region.